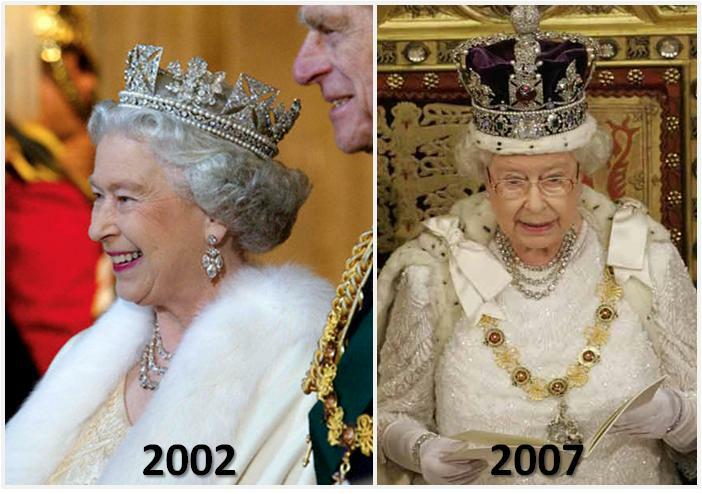 The Coronation Necklace would be the fanciest possible choice. 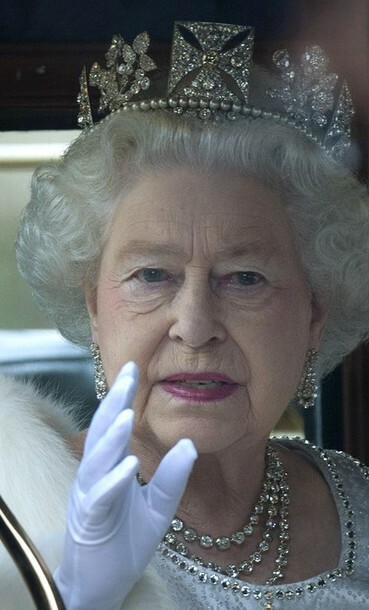 Will she go for it in her Diamond Jubilee year? 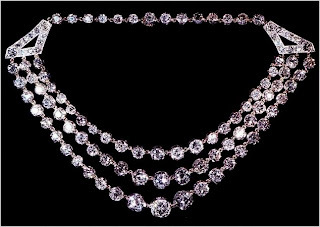 Another sparkly option might be this diamond necklace which was a gift from her father. 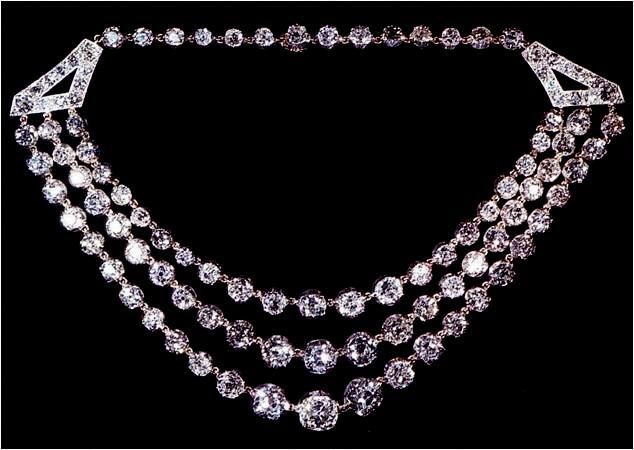 Three rows of diamonds are suspended between two diamond triangles. It was created with 105 loose diamond collets from the collection. 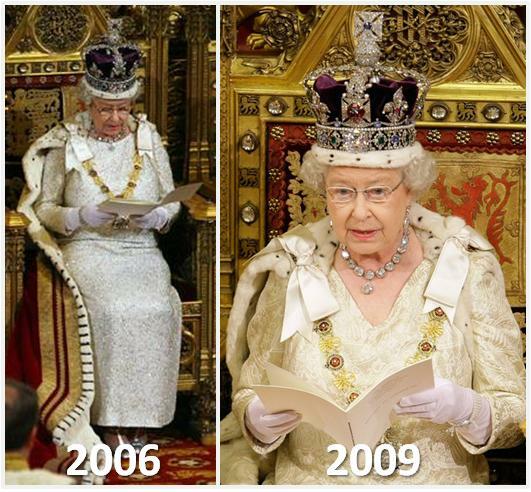 The last state opening was a surprisingly low-key choice when it comes to sparkle, with a two row pearl necklace brought together with a diamond clasp. 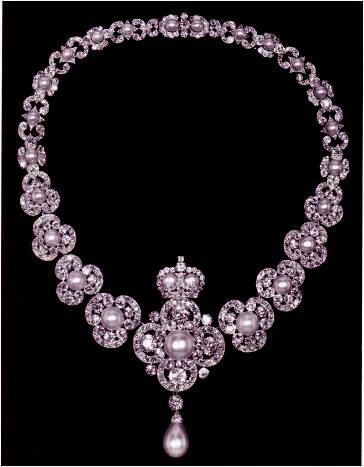 Another pearl option - this one with a few more diamonds - might be the ticket: Queen Victoria's Golden Jubilee Necklace. 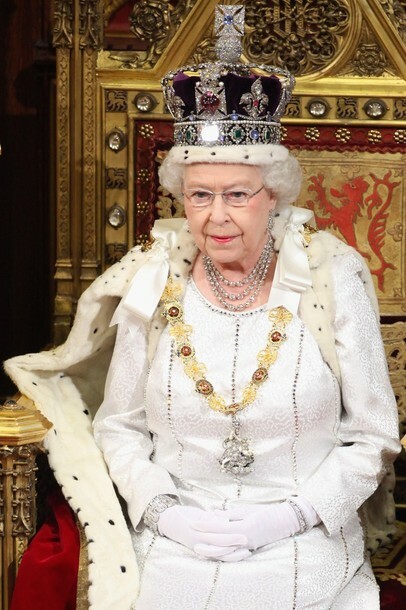 This was a gift from the Women of the British Empire in 1887 for the jubilee. 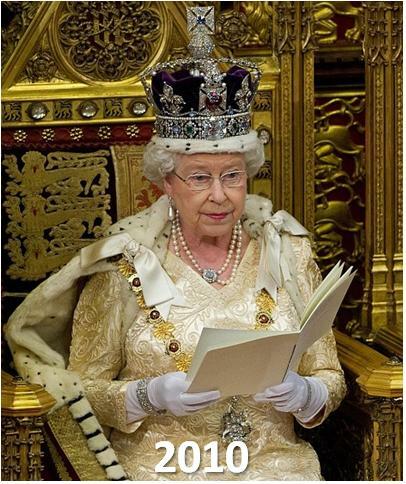 With this being another jubilee year, might this be the one? What do you think we'll see next week?